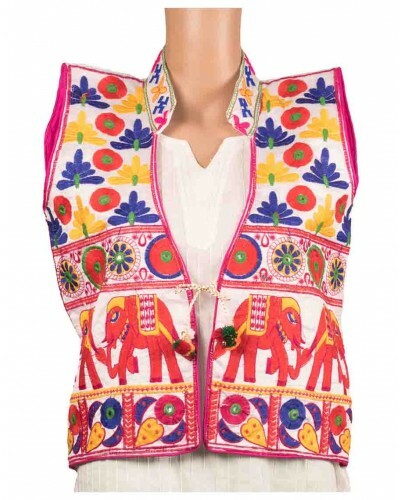 Add some fun to your closet with this ethnic jacket that can be paired with any plain colored top or t-shirt. This machine embroidered poly dupion silk jacket with the embroidery of floral elements and elephant motives on the front. To comfort your body, we have provided plain cotton lining inside the jacket.